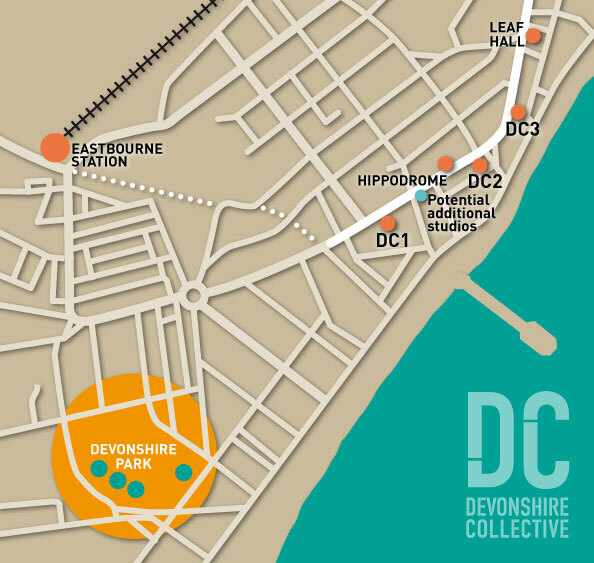 Devonshire Collective will showcase 5 South East artists and host a networking event as part of our new series for artists, Cafe Culture. Tickets are £5 & include food tastings & a complimentary drink, first come first serve. Artists were selected following an Open Call in October 2017. April Yasamee is a London born artist, now living in St. Leonards on Sea, East Sussex. 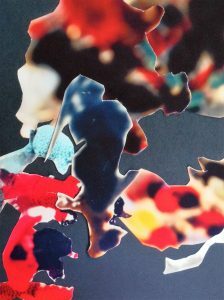 She is active in artist groups in UK and Italy, exhibiting widely. Studies include City Lit, London, sculpture courses, History of Art at University of Manchester, BA Fine Art Painting. She is a member of Blue Monkey artists network, Hastings Arts Forum, De La Warr Crit group. She writes: “I make small scale, mixed media sculptures, using contrasting materials. I was influenced by the Italian Arte Povera movement whilst living and working in Italy as an artists Studio Assistant. ‘Create to destroy, destroy to create’ Bouke De VriesNikki Davidson-Bowman is a multi media artist, whose practice is often inspired by found objects and words. Creating fresh narratives; she takes discarded objects, books or texts on new journeys to bring the past into the present, developing one off installations, small editions & poetry, which evolve through cutting, collecting, cataloguing, playful experimentation, making, destroying, researching, remaking and removing. Her practice is habitually obsessive, meticulous & laborious, contradicted with chance processes and randomness, using the outcomes of making as receptacles for the unsaid and the unseen. 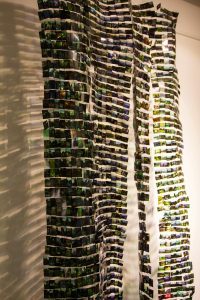 The works presented are from an on going project, The Absent Archive, that brings new life and purpose to some discarded and reclaimed photographs, slides and documents. The project involves research and analysis, and as time progresses, an opportunity to make work in response to the archive. The pieces provide a fragmented commentary of a lifestyle, relationships, & journeys as well as a sense of time and place. From the chaos of the archive comes order and a time to think about what the archive reveals. Presumptuous Views. Slide transparencies, thread and light hanging installation. Approx 210cm high x 90 cm wide x 35cm depth approx. 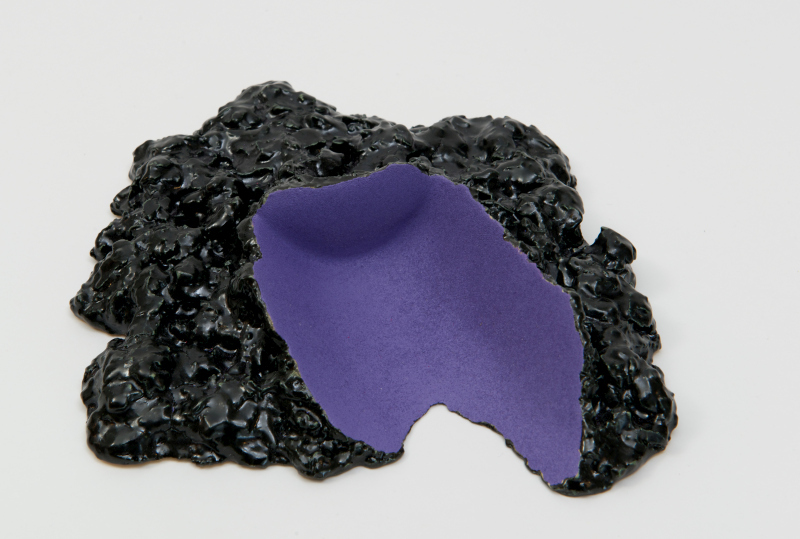 I make small ceramic sculptures which combine opposites of form, texture and colour as metaphors for perfection versus imperfection/ control versus chaos in relation to personal identity and a contradictory sense of self. My work explores ideas about the containment of personal and emotional mess and disorder, in a world which increasingly encourages the belief that control and perfection in all aspects of our lives is desirable and attainable. I am interested in the contemporary tendency, aided by the tools of social media, to mask the messiness and chaos of real life through the creation of curated and constructed personal identities. My sculptures are intended to be unsettling in their form and how they are displayed, sometimes spilling over the plinth. Small in scale (max 30cm in any dimension), they can seem to imply an obscure function and I am interested in exploring how this can be exploited to enhance their unsettling nature, with some elements appearing designed and others almost formless. My sculptures are hand built over a number of weeks and fired to earthenware temperatures. 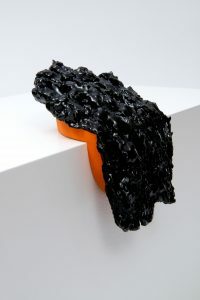 Each one comprises carefully formed and finished sections and parts which are more loosely handled and messily finished. Soft and muted earthenware glazes, stained with oxides, are offset by harder acrylic colours.